Spice things up in your kitchen with a Ceramic Coated Knife. Ceramic slows down the oxidation (browning) in acidic fruits and vegetables, and there is no metallic taste left behind to alter the taste of your meal. Designed with a smooth and razor sharp, non-stick, ceramic coated blade, this amazing culinary tool delivers perfectly clean cuts every time. 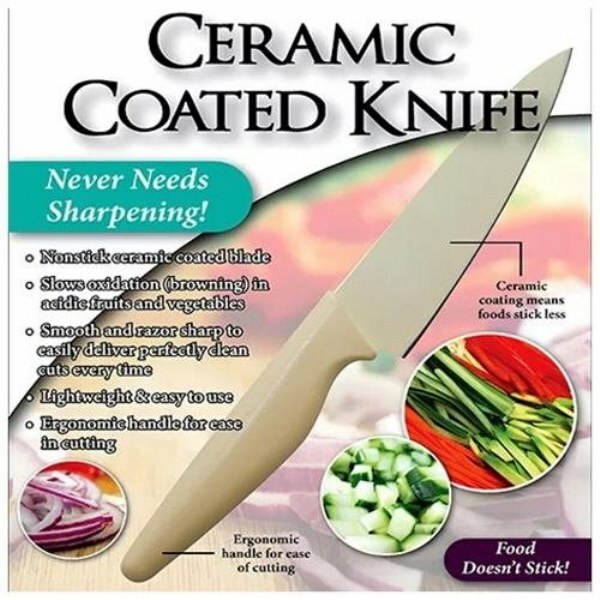 With the ergonomic handle, you&apos;ll love how it feels, and you&apos;ll be pleasantly surprised at how easily it slices through anything and everything.